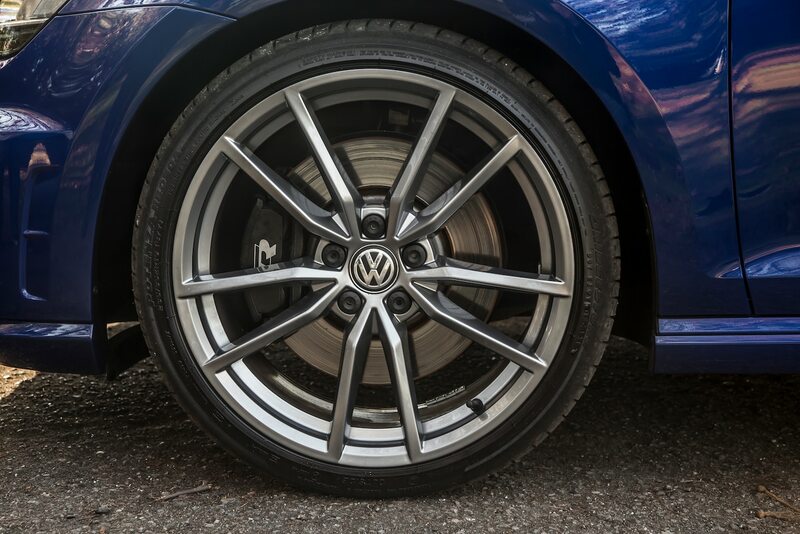 It might be hard to believe, but in a four-decade lifespan, Volkswagen’s Golf has only run away with our Golden Calipers once before, in 1985. 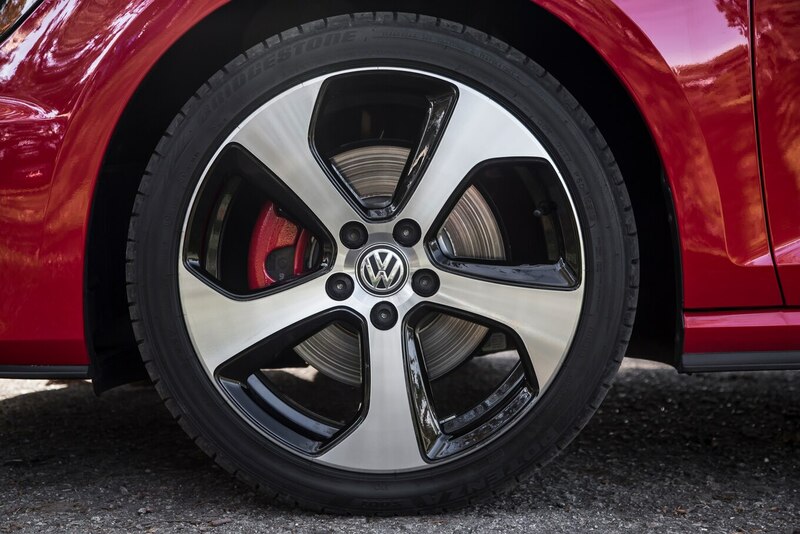 Also interesting is the fact that the GTI that won our Car of the Year award 30 years ago was deemed our “domestic” COTY at a time when we still categorized imported cars into their own award. 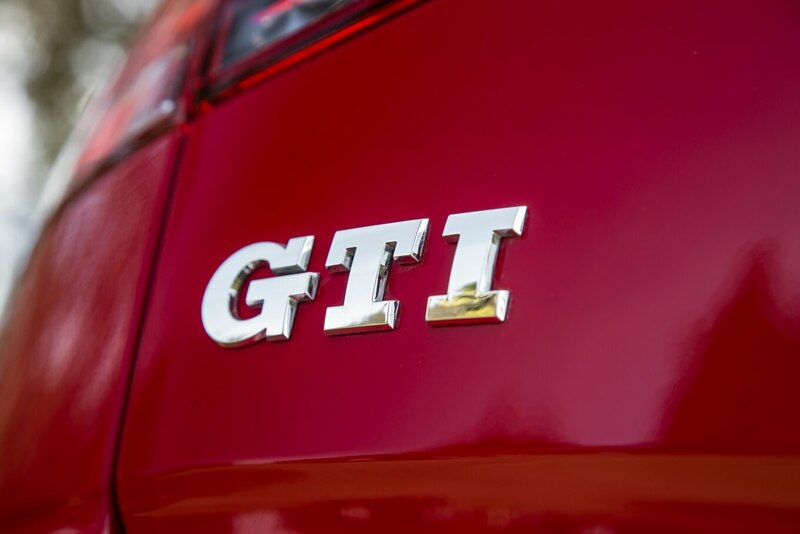 The domestic tag was because the 1985 GTI was constructed at Volkswagen’s now-defunct Pennsylvania plant, which was shuttered three years later. A lot has changed in the intervening years. 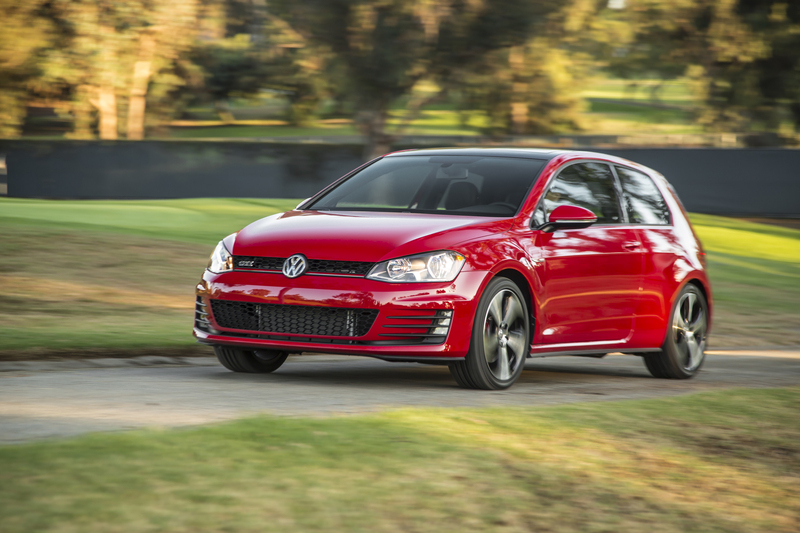 Volkswagen is once again producing cars in the U.S., and the Volkswagen Golf, including the GTI, is once again our Car of the Year. 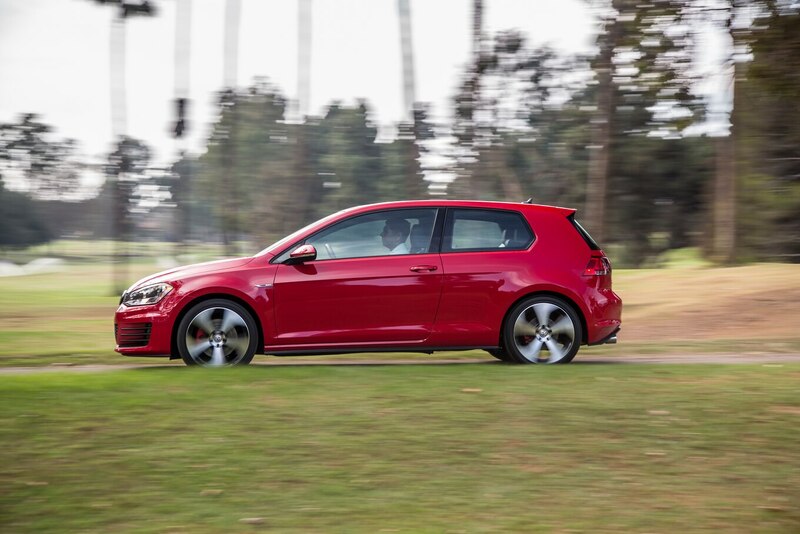 For 2015, the Golf was a near-unanimous choice among our judges by virtue of its strong performance in each of our six Car of the Year criteria. 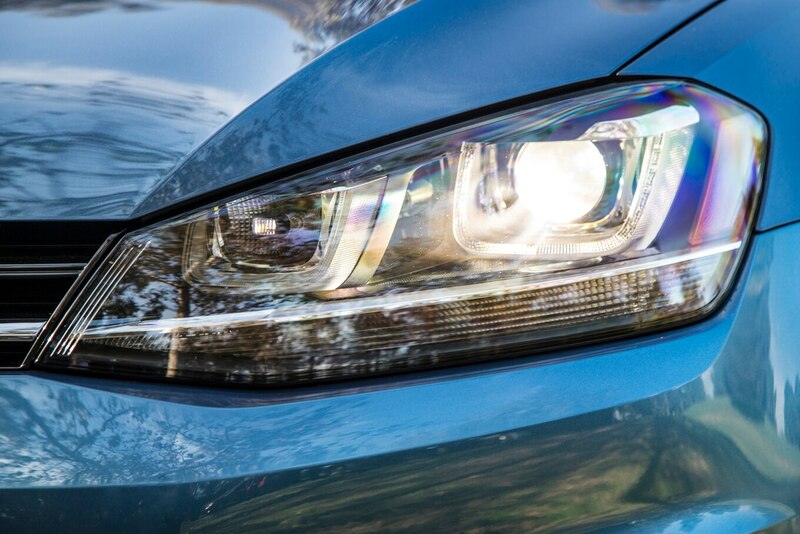 While we admit that the 2015 Golf won’t make the average freeway-goer take much notice, the devil’s in the details. 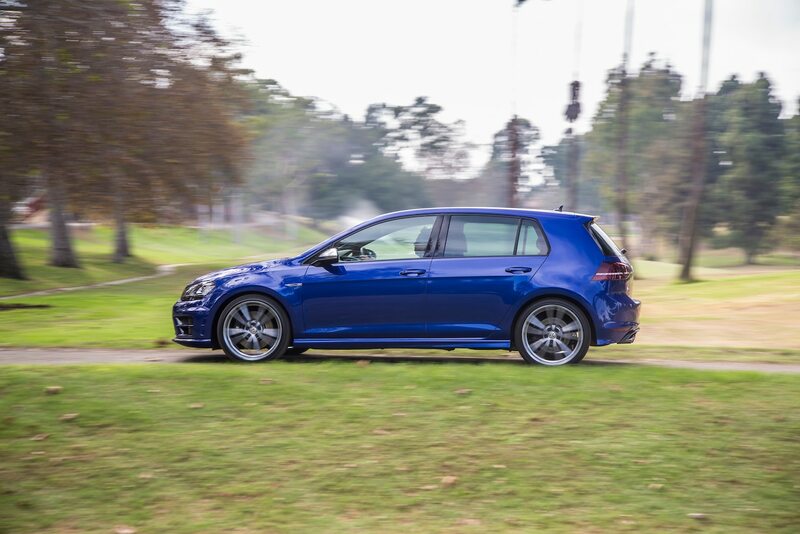 With crisply sculpted bodywork that’s nearly an inch lower, two inches longer, and a half-inch wider than its predecessor’s, the new Golf looks sleeker and sportier than the car it replaces. 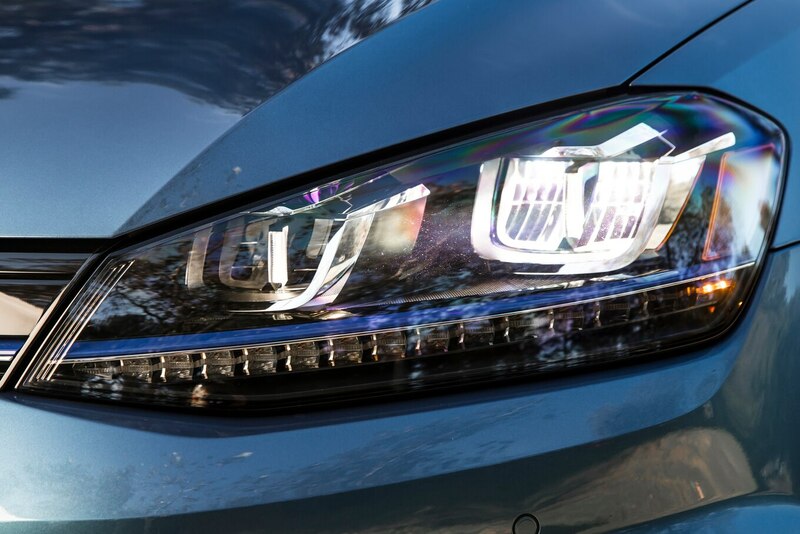 There are no superfluous lines, no gimmicky details; this makes the Golf one of the few cars in its segment that is able to appeal visually to both younger and more mature demographics. “Exquisite execution of lines and surface,” said our guest judge in design, Tom Gale. 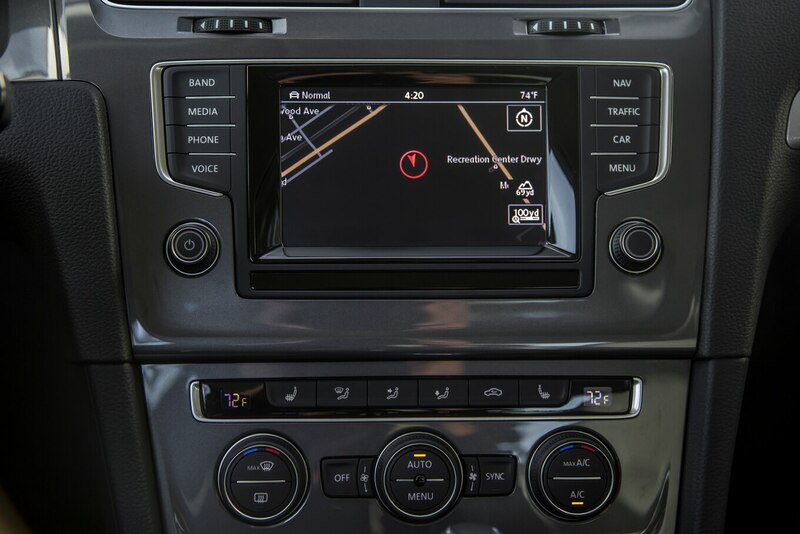 The interior is equally impressive, with refinement and attention to detail apparent everywhere — from the revamped 5.8-inch touchscreen display, to the supportive seats and clear instrumentation, to the cloth-lined door pockets normally found only in higher-end vehicles. 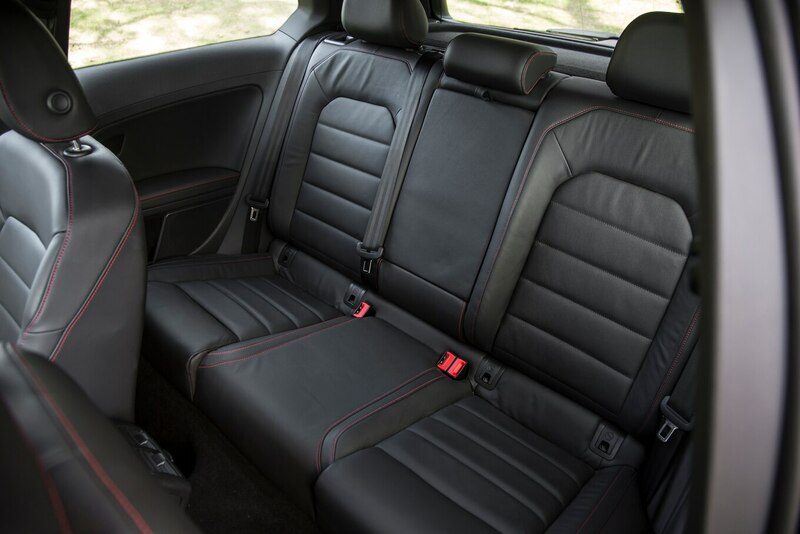 We also appreciated classic touches such as the golf-ball-styled shift knob and available tartan upholstery in the GTI. 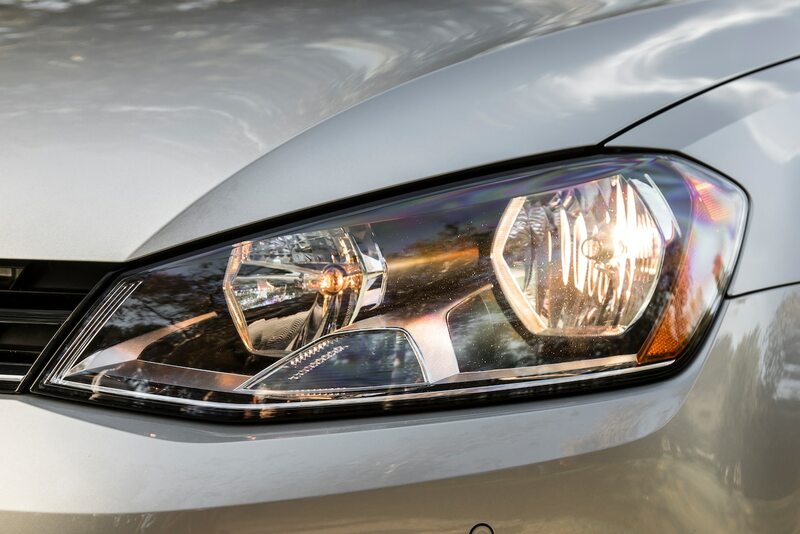 Read about 2015 Car of the Year Contenders and Finalists here. 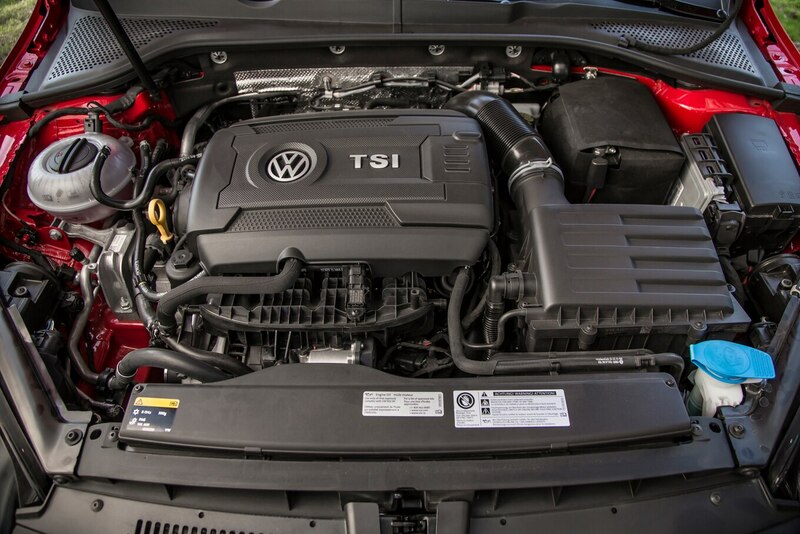 Weight reduction and improved engine efficiency have resulted in fuel economy gains for both the TSI and GTI models with their respective 1.8- and 2.0-liter turbocharged I-4 gas engines. 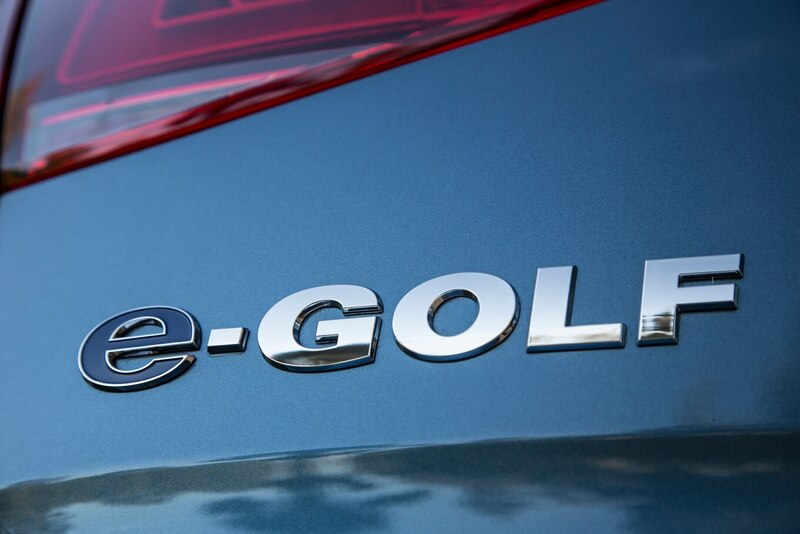 Even more impressive, Volkswagen has also included room in the lineup for diesel and electric versions of the Golf. 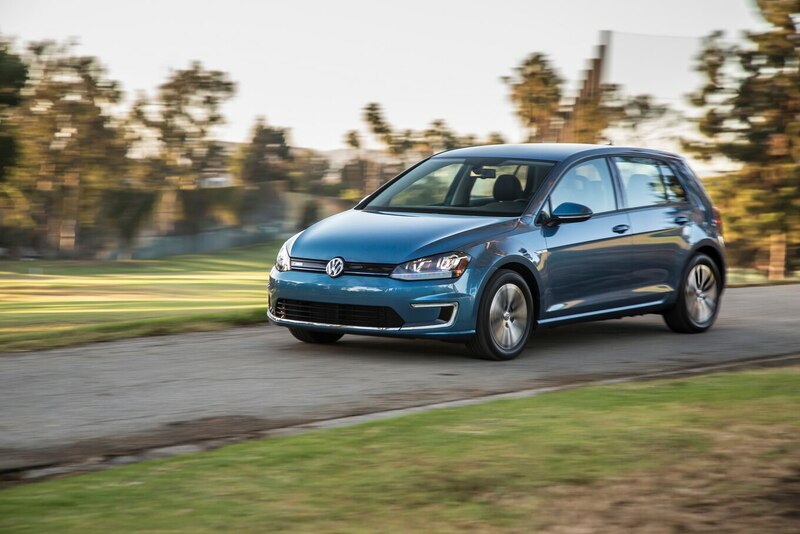 The Golf TDI and its 2.0-liter turbo-diesel inline-four return an EPA combined rating of 36 mpg, while the e-Golf has an EPA-estimated range of 83 miles. 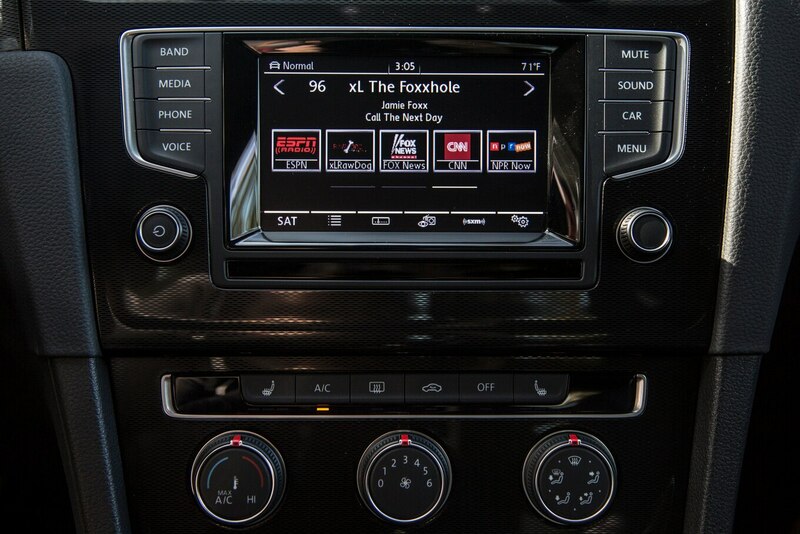 The best part is that neither car is a penalty box to drive. 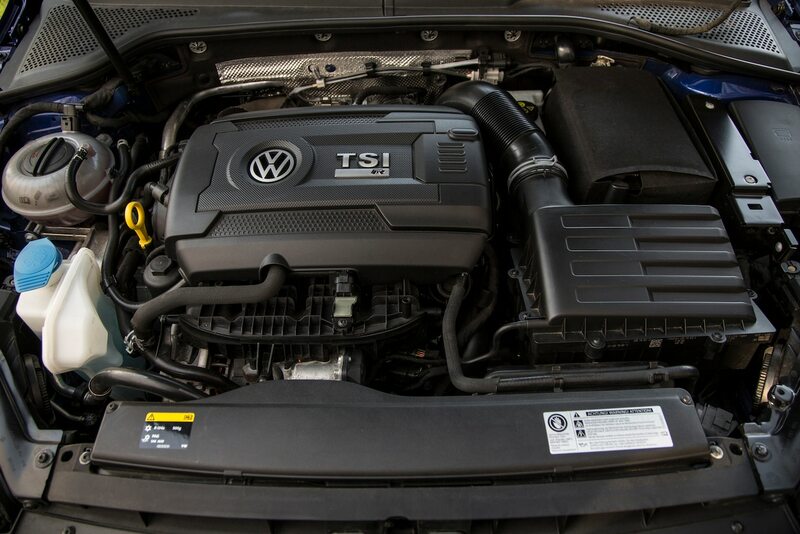 What the TDI lacks in horsepower it mostly makes up for in torque. 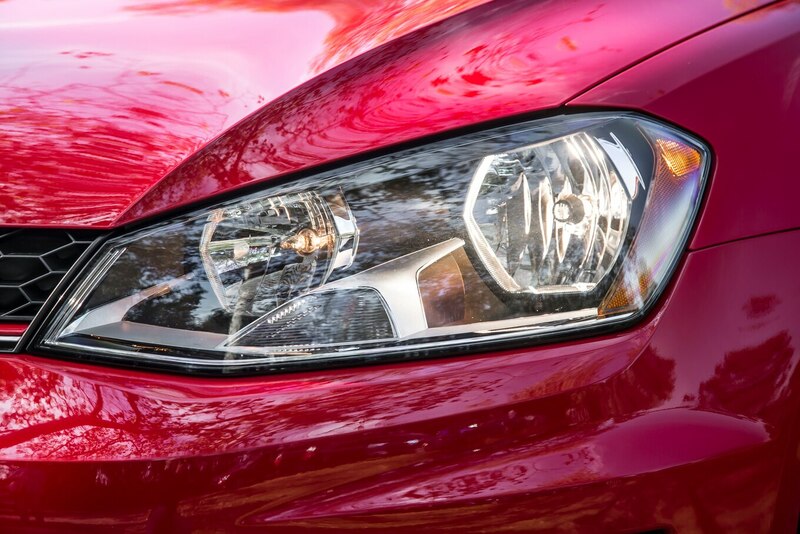 While it didn’t feel quite as quick as the TSI, it was no slouch for a C-segment car. 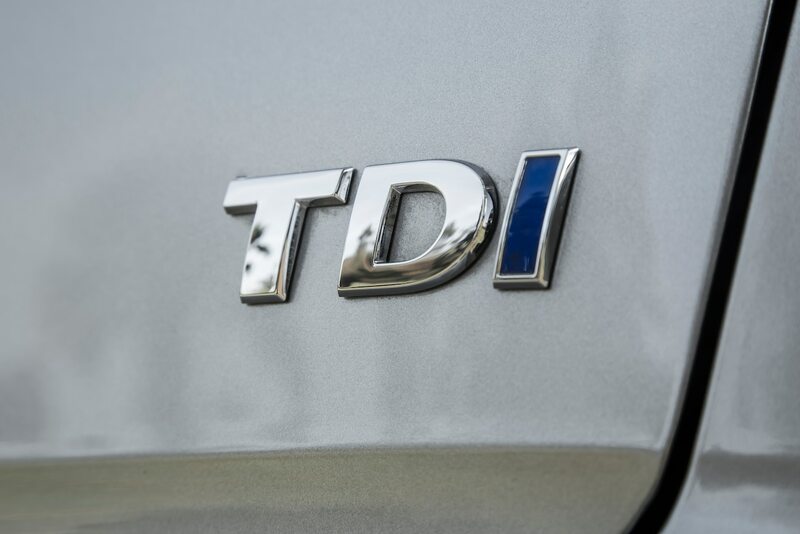 The basis for these comments lies in Volkswagen’s new MQB modular front-engine, front-wheel-drive vehicle architecture—a platform that will underpin dozens of new vehicles. 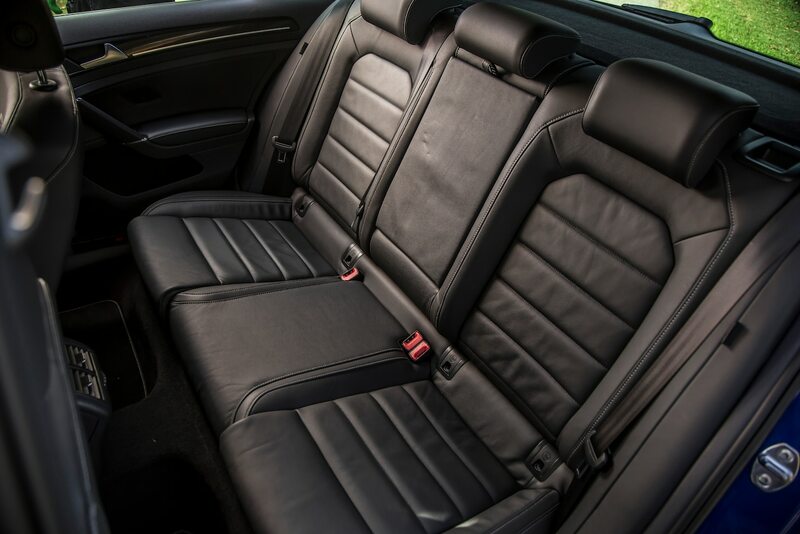 All told, MQB is said to save around 200 pounds over the previous-generation Golf, reductions coming from such a range of places as the body (made of 80 percent high-strength steel for a 51-pound savings), to the seats (15 pounds lighter), to the air-conditioning system (6 pounds lighter). 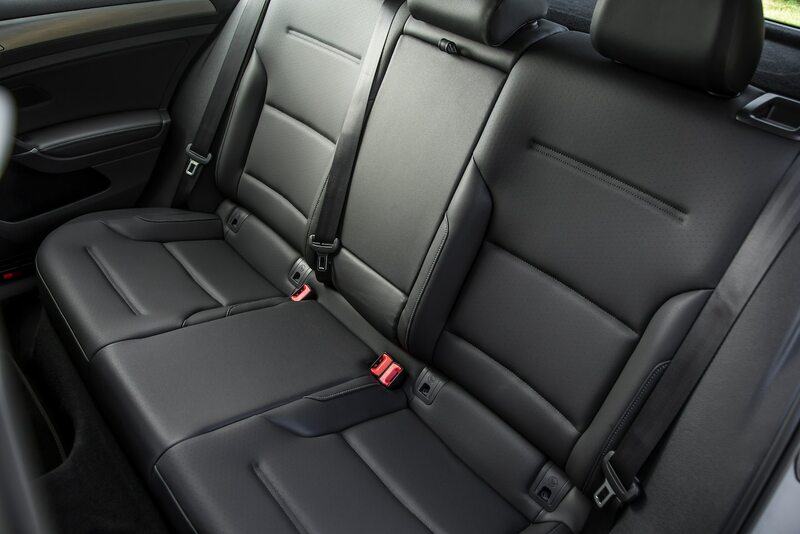 All this despite a larger body that pays dividends in cabin space, especially in the rear seat and cargo areas. 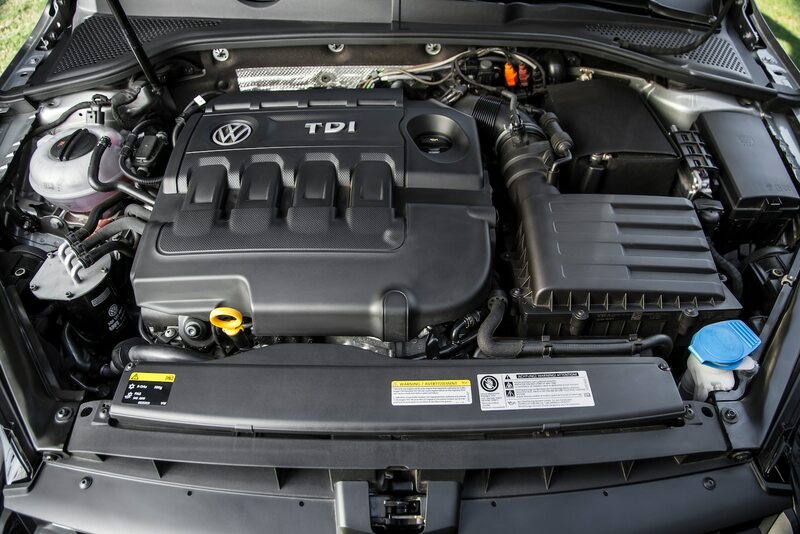 All-new powertrains fill the Golf’s engine bay, with not a single dud in the group. No matter which Golf variant we jumped into, we emerged with smiles on our faces. 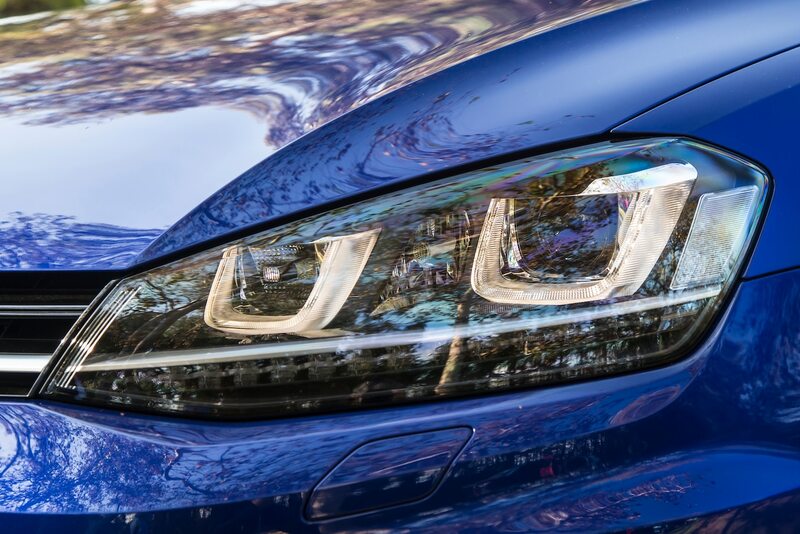 And while each obviously catered to different priorities, they all share the same solid build quality, taut structure, and remarkable ride that make them feel like a premium vehicle in an entry-level segment. 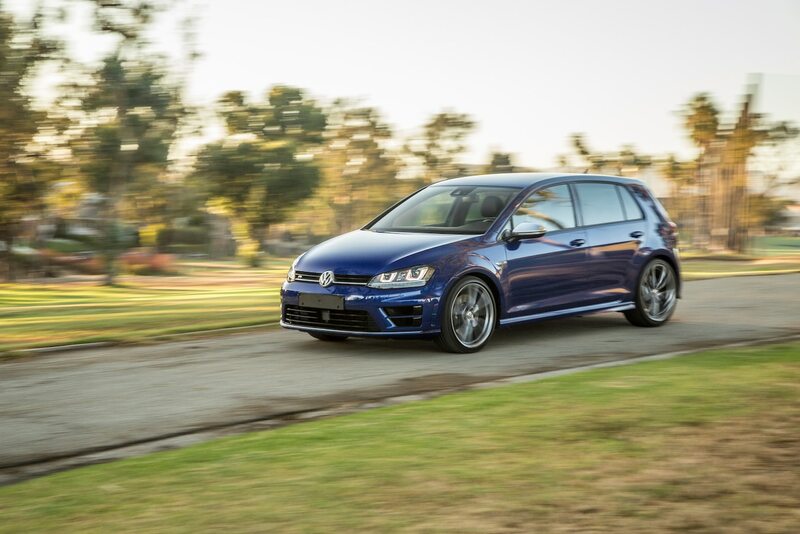 In-cabin noise was minimal in every variant, and even the sportiest Golf, the GTI, refused to beat us up over days of hammering Hyundai Proving Grounds’ unforgiving special surfaces loop. 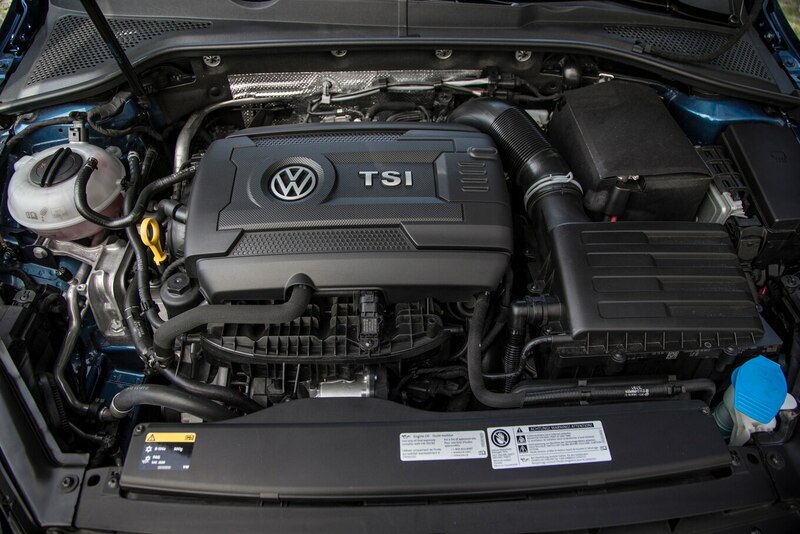 We were also impressed with the powertrains in our Golf variants — from the TDI’s torquey low-end surge to the GTI’s rev-happy rush, there wasn’t a dud in the group. 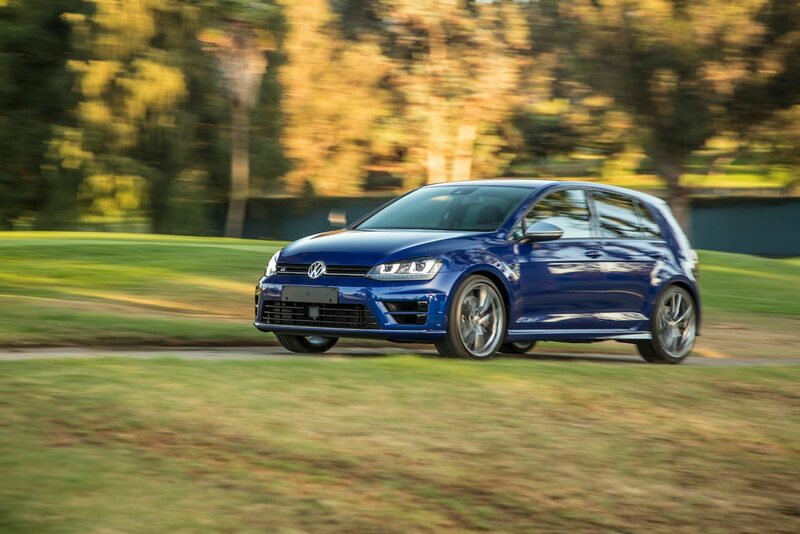 While the throws could have been a little shorter on the TDI’s six-speed manual gearbox, we adored the GTI’s six-speed action, which really connects driver to car. 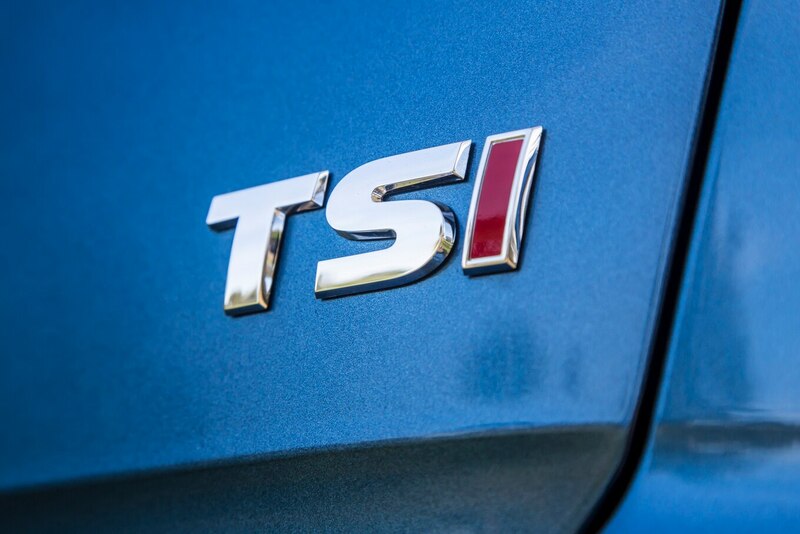 The TSI’s 1.8-liter turbocharged I-4 must vie for the title of best standard engine in its segment, sharing the same EA888 series design as its GTI sibling. 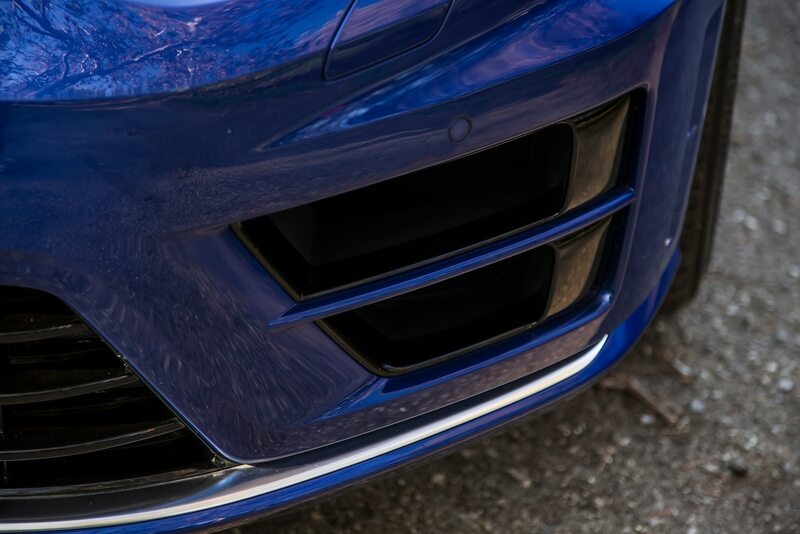 Moreover, its six-speed torque-converter automatic shifted quick enough to have more than one editor wondering if it were actually a snazzy twin-clutch auto. 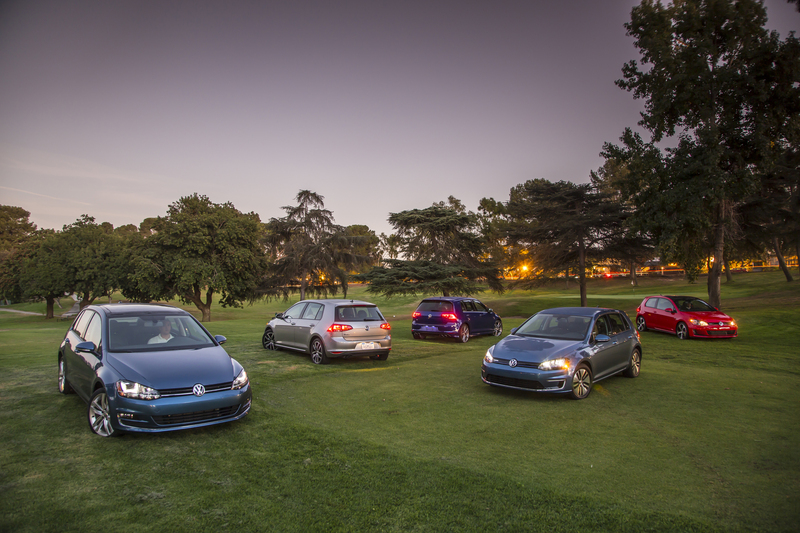 Every Golf we had on hand was made for a different customer with different priorities. 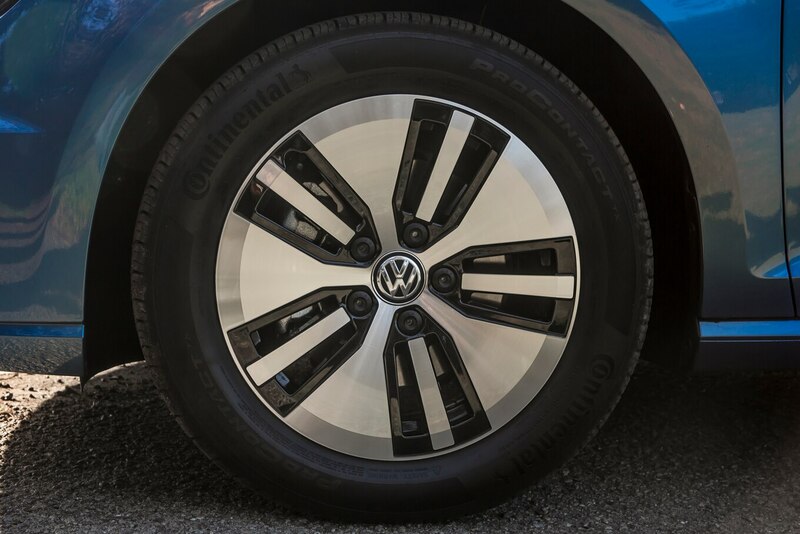 From eco-friendly tech lovers, to fuel misers, to canyon road carvers, to A-to-B commuters, our four variants excelled in their individual ways while still feeling similar. 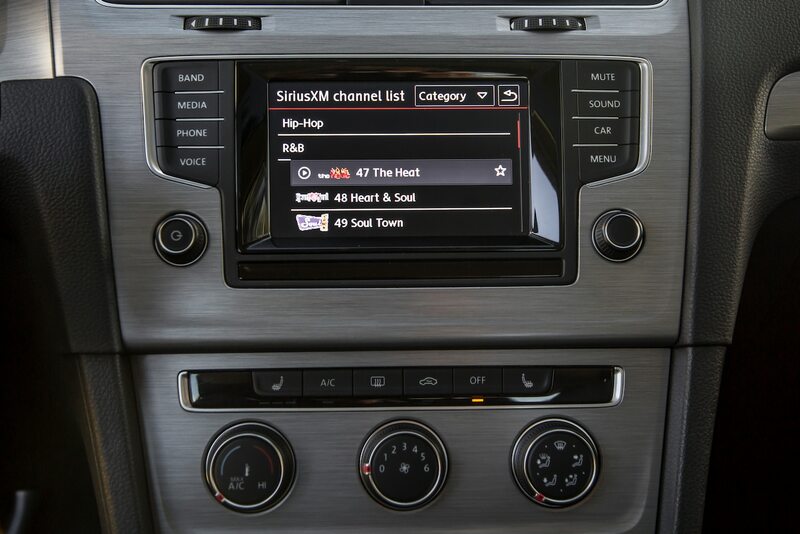 Better yet, each did this at a price point that belies its premium feel, a major Volkswagen brand goal. 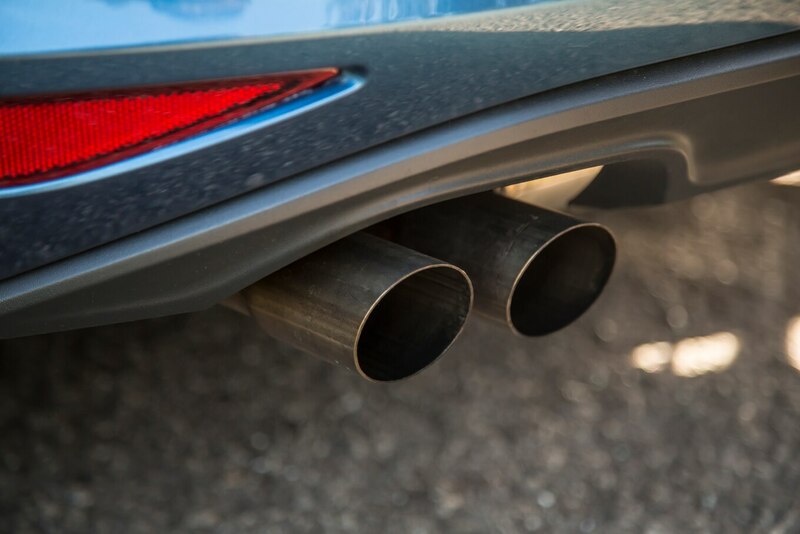 A key point of the hatchback is practicality. 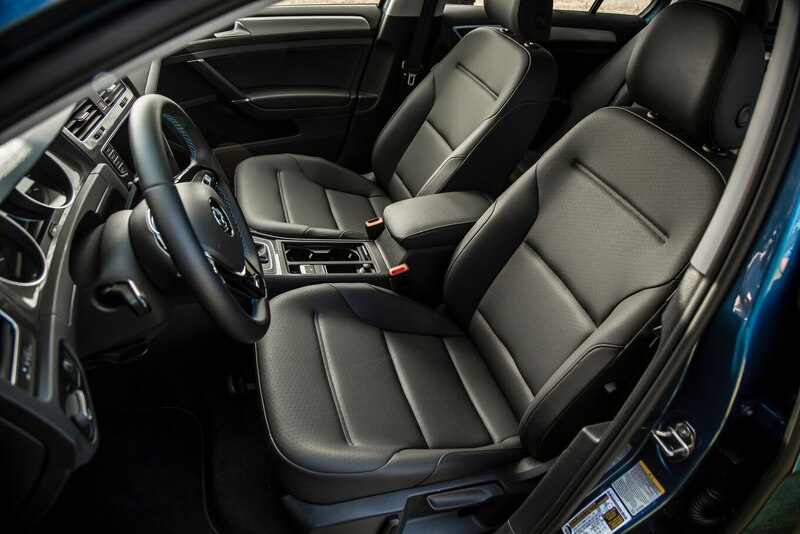 Such a design maximizes available space in any vehicle, but especially so in smaller ones. 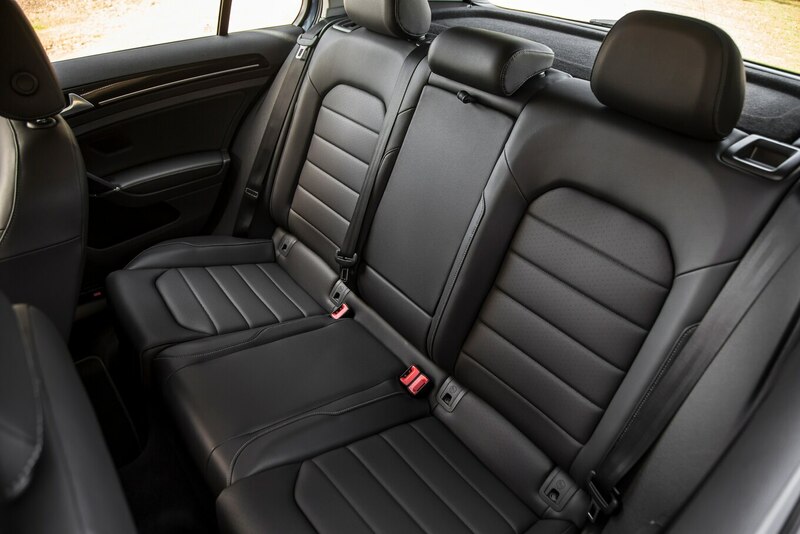 Volkswagen’s experience with hatchbacks has benefited the latest Golf with more cargo space than the outgoing model, according to VW, and a real rear seat that fit even our tallest testers comfortably. 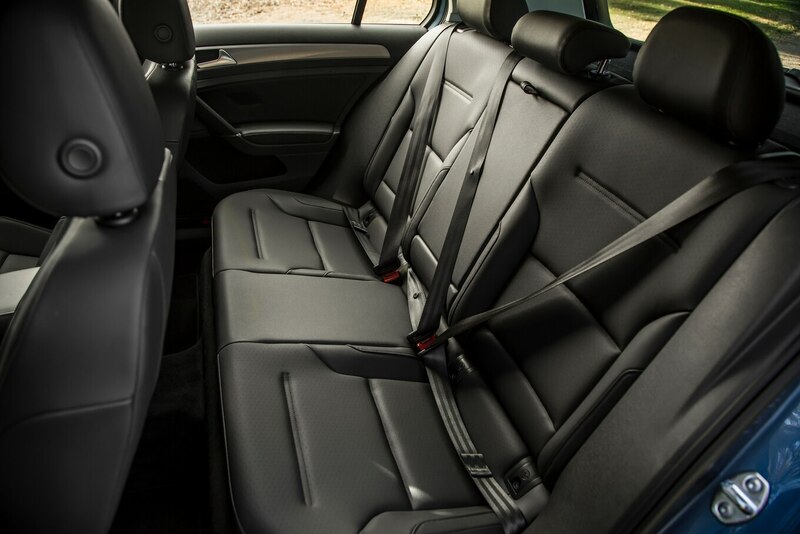 We’d venture to say that there’s more apparent cabin space in the Golf than in some midsize sedans. 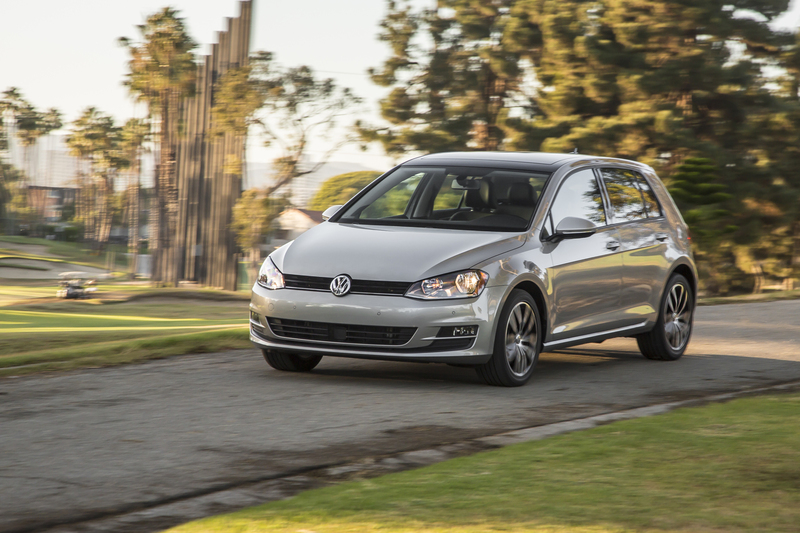 In recent months, we had the opportunity to subject two different 2015 Golf models to in-depth comparison tests. 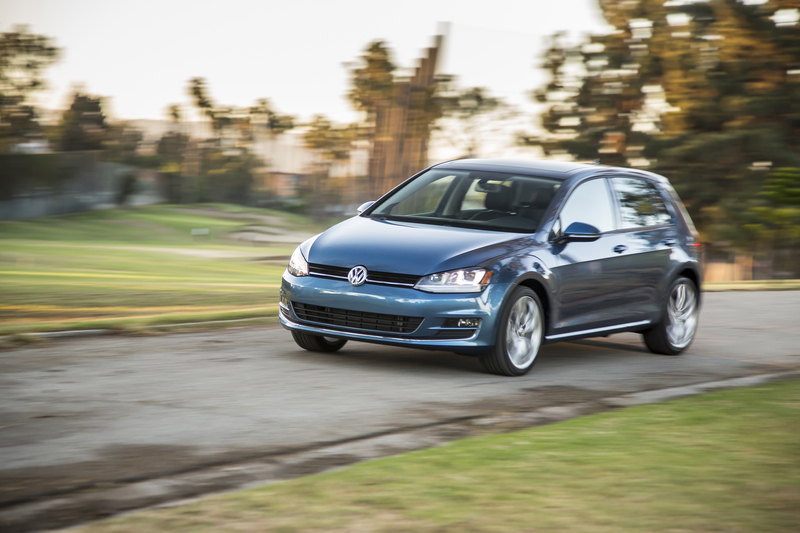 To that end, the 2015 Golf TSI won our entry-level four-door hatchback Big Test, ahead of four of its competitors, including the beloved Mazda3. 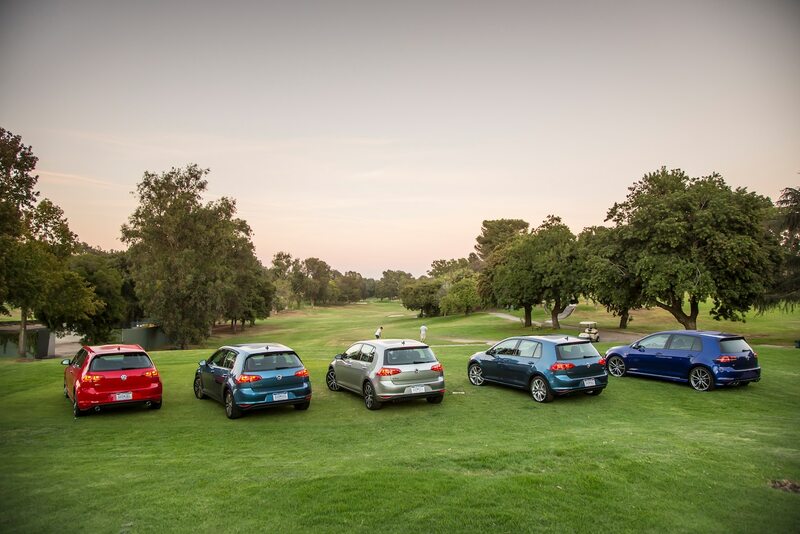 And the 2015 GTI won our four-way small, sporty car shootout, which included the stout Subaru WRX. 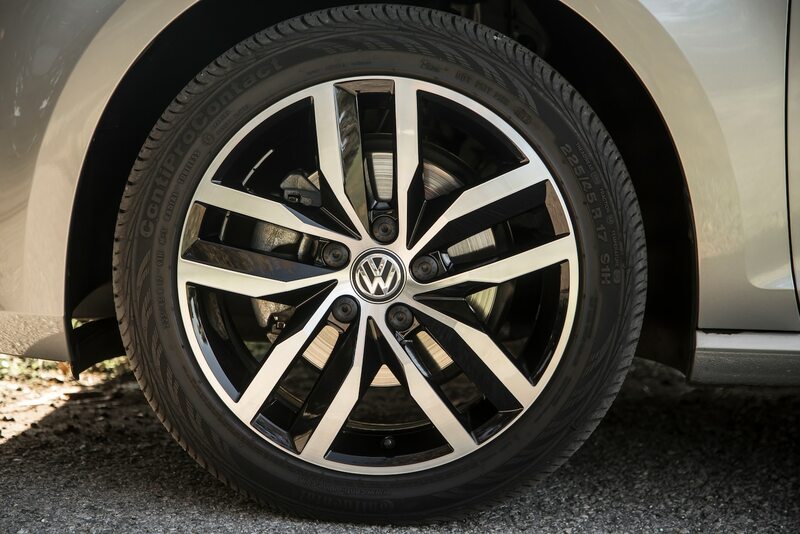 Of course, we haven’t even seen the end of the Mk7 Golf line yet. 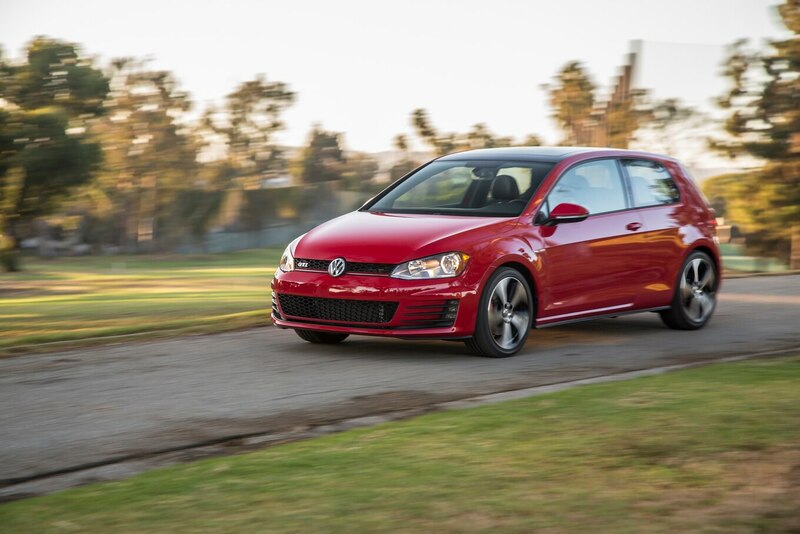 In 2015, would-be racers will be able to buy a new Golf R with all-wheel drive, a dual-clutch transmission, and nearly 300 horsepower. 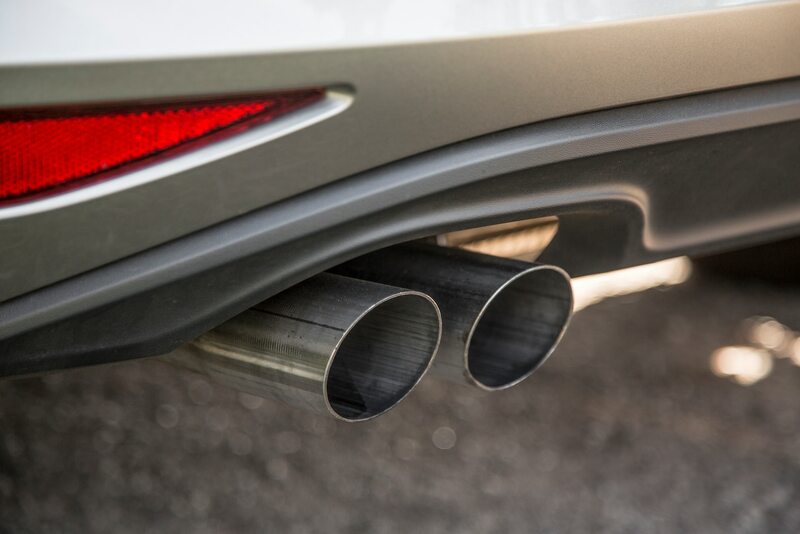 Luckily, we already tested a European-spec R whose 0-60 run of 4.9 seconds and average lateral acceleration of 0.97 g were reminders of this car’s lofty capabilities. More interested in hauling stuff around? 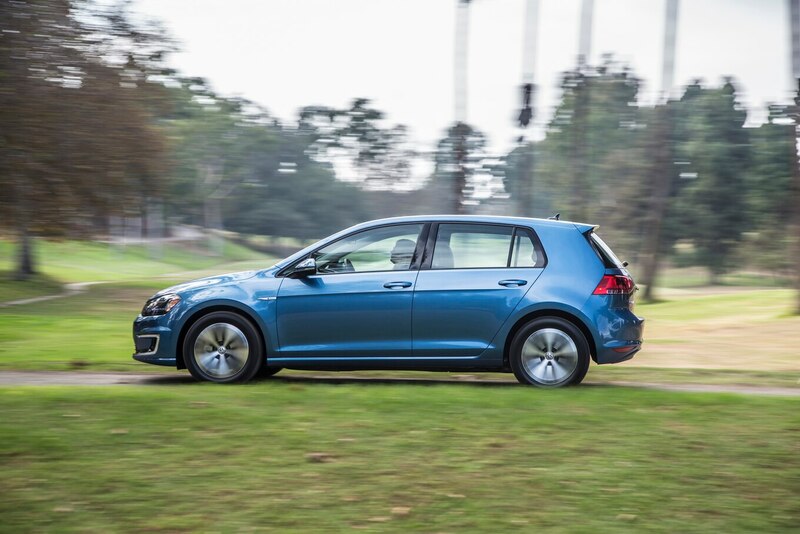 VW will also be launching the longer Golf SportWagen, offering 10 percent more cargo room than the outgoing Jetta SportWagen, giving it the kind of versatility that will rival that of compact crossovers. 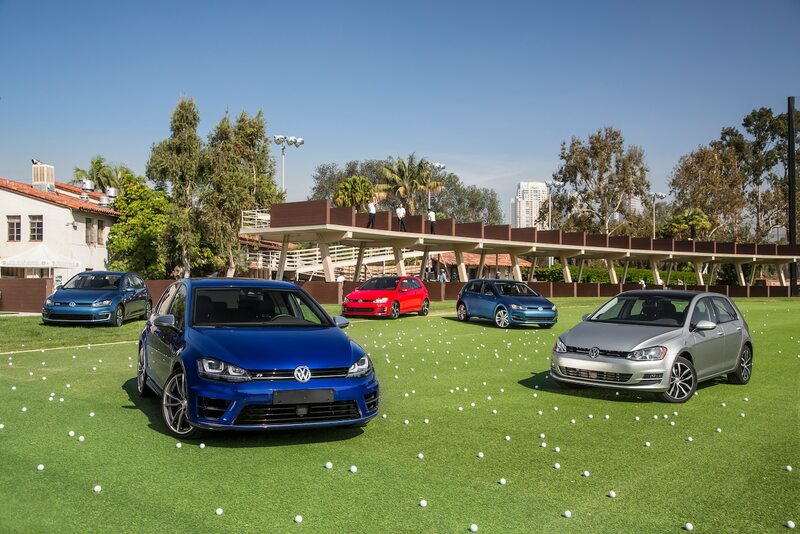 A Golf for every driver? Sure seems that way. 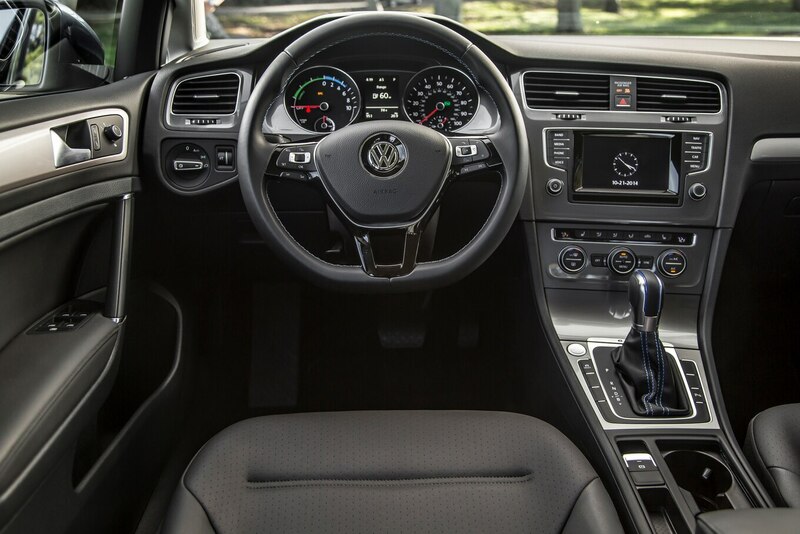 All 2015 Golf models come standard with six airbags, stability control, and Volkswagen’s automatic post-collision braking system, which activates the brakes after a crash is detected by the airbag sensors to help minimize further damage. 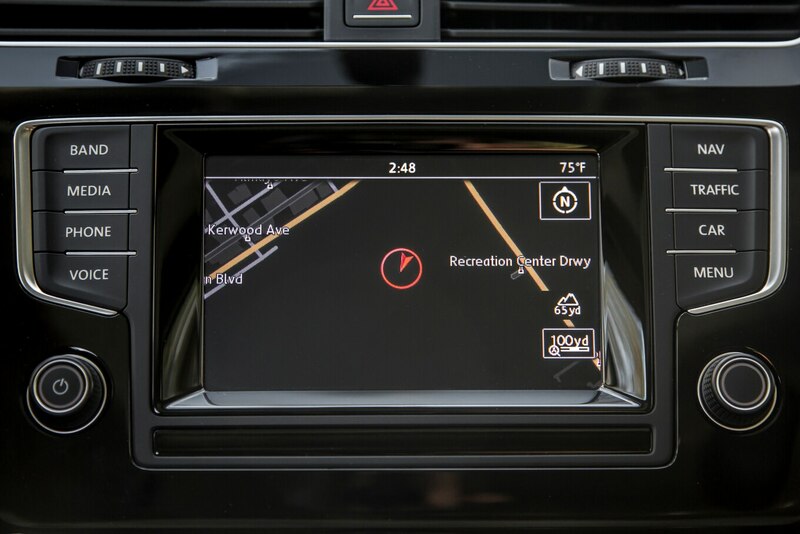 Of course, that may not be needed at all if buyers choose the optional Driver Assistance Package, which includes a forward-collision warning system. 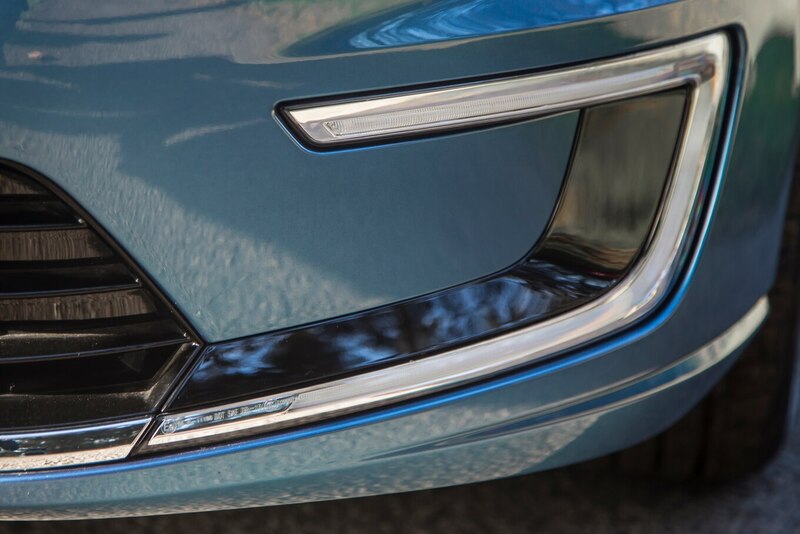 That system’s availability, along with ratings of Good in each of the Insurance Institute for Highway Safety’s five crash evals (including the newly standardized small-overlap frontal test), earned it an IIHS Top Safety Pick + rating — the highest possible. 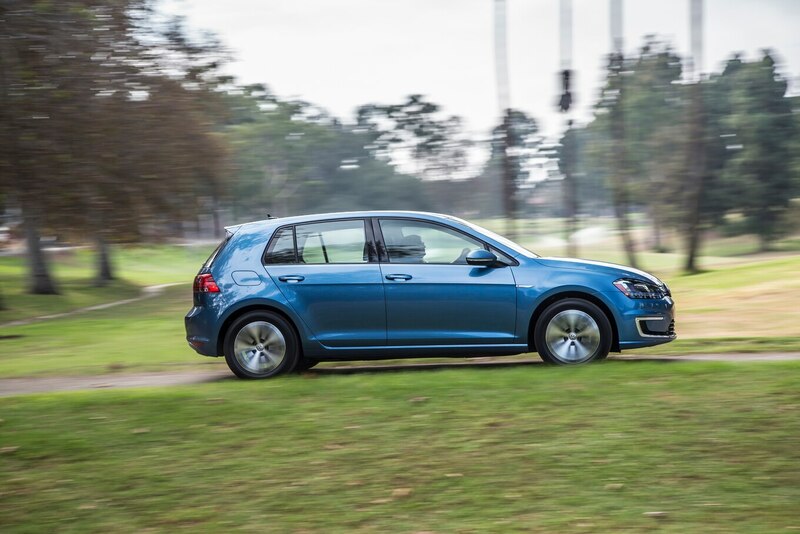 The Golf hasn’t been rated by the National Highway Traffic Safety Administration (NHTSA), but it is expected to earn another impressive score. 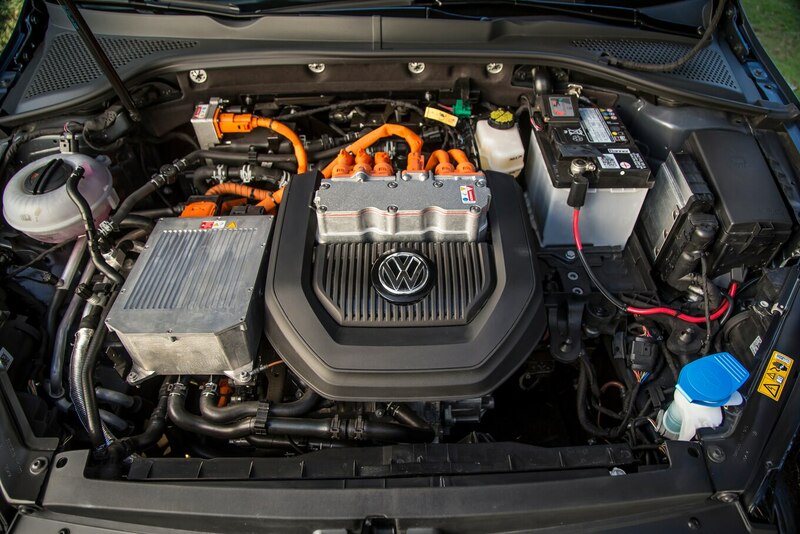 An underhood peak at the e-Golf’s inner workings. 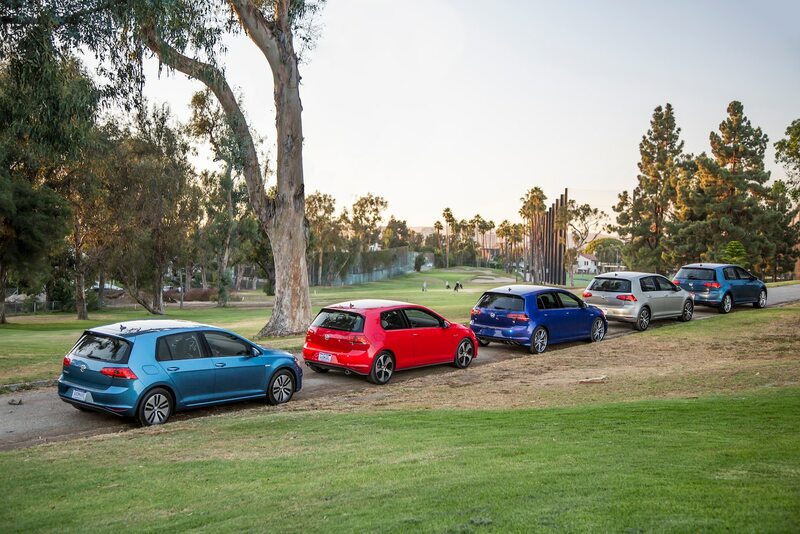 With a base price of $19,815 for the standard Golf S (a limited-offer Launch Edition is $1,000 less), it’s true that the Golf isn’t the cheapest C-segment vehicle available in the U.S. 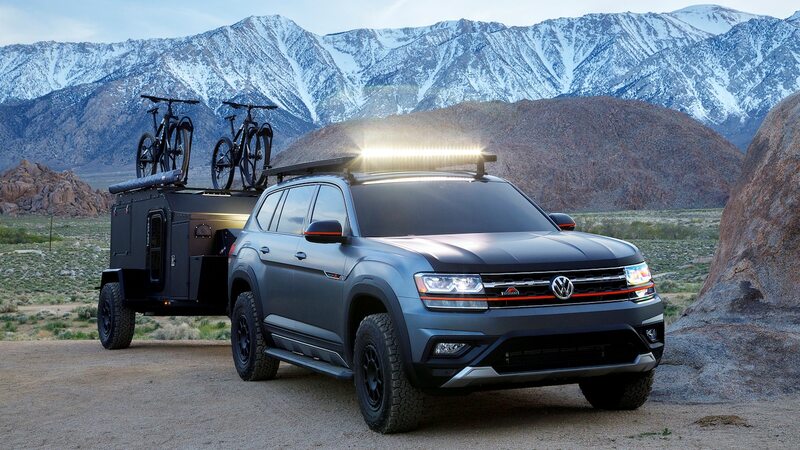 But for that price, buyers get the kind of ride and build quality, engineering proficiency, and design details that go beyond the norm for the entry-level segment. 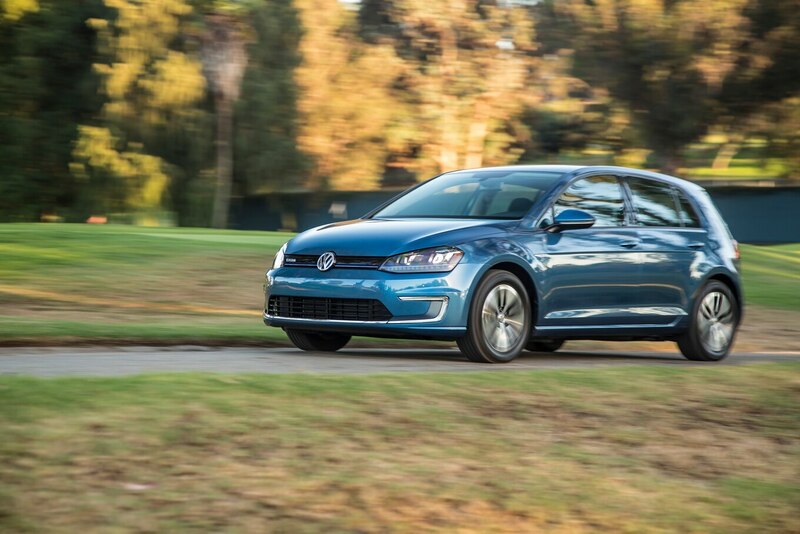 Further, the starting prices of the other variants on hand — $22,815 for a TDI, $25,215 for a GTI, and $36,265 for an e-Golf — represent big bang for the buck. The overall look and feel of the Golf rivals premium competitors that cost thousands — even tens of thousands — more. 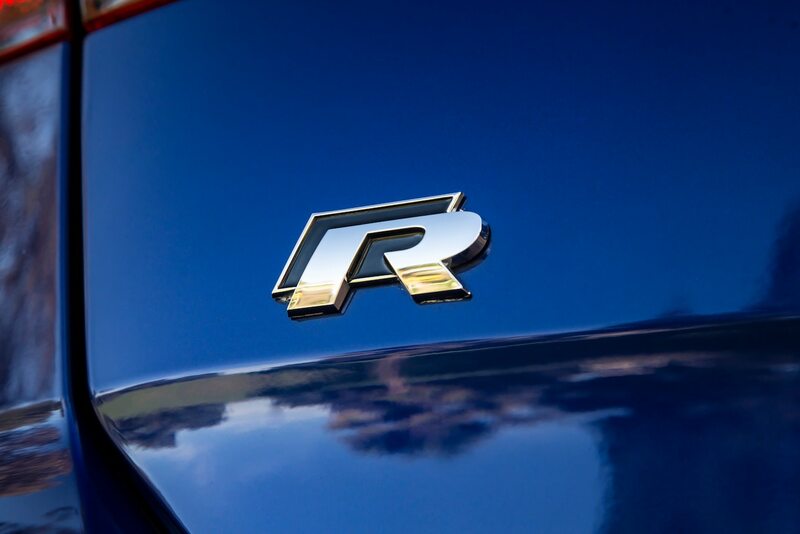 We found this to be true even while driving other 2015 Car of the Year contenders. 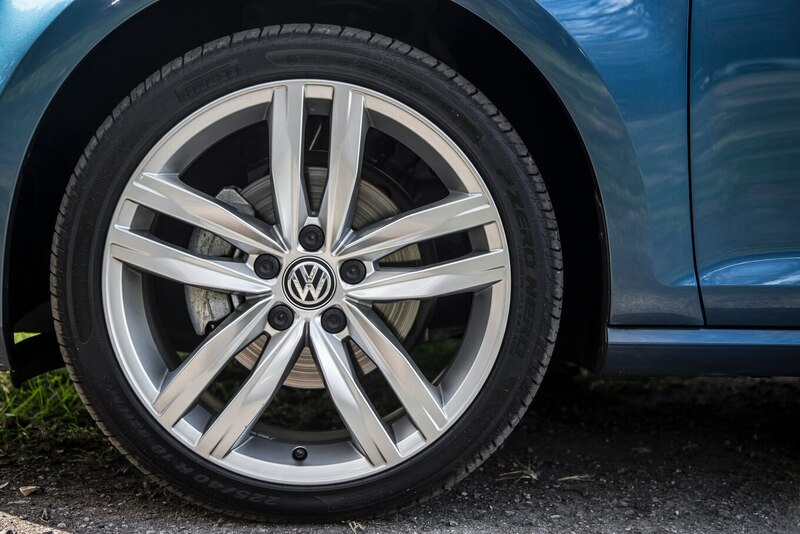 Volkswagen Group probably doesn’t want to hear it, but few of our editors would pay the price premium for an Audi A3 1.8 over a Golf TSI given the relatively small difference in quality and driving experience. 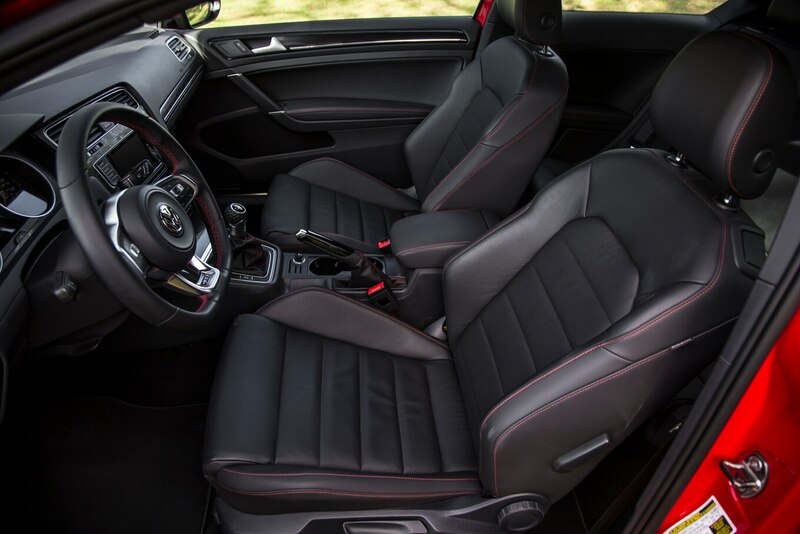 Some would even prefer the Golf’s interior design and roomy cabin to the A3’s if cost were no object. 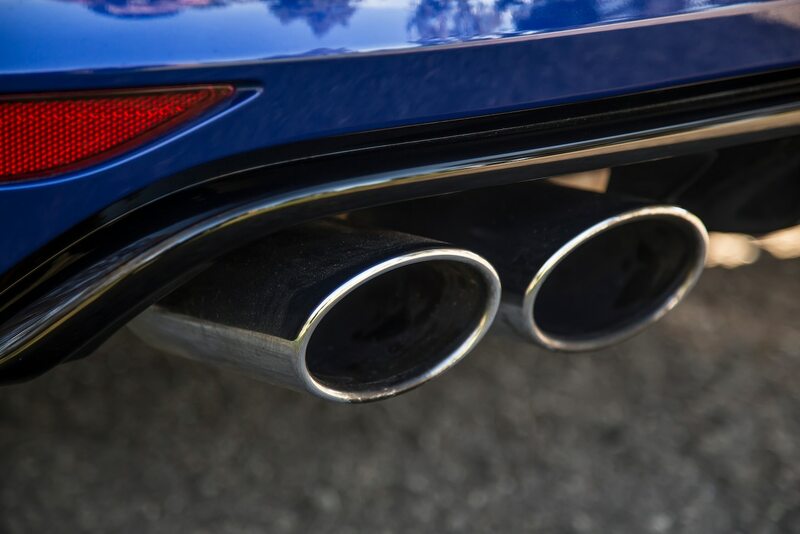 If a trend toward smaller vehicles has shown anything, it’s that buyers want the same tech-laden features, the same build quality, and the same upscale design and feel of their larger cars in their smaller ones. The 2015 Volkswagen Golf is a quality car, a fun car, a grown-up car — a C-segment vehicle that can instill pride of ownership without breaking the bank. 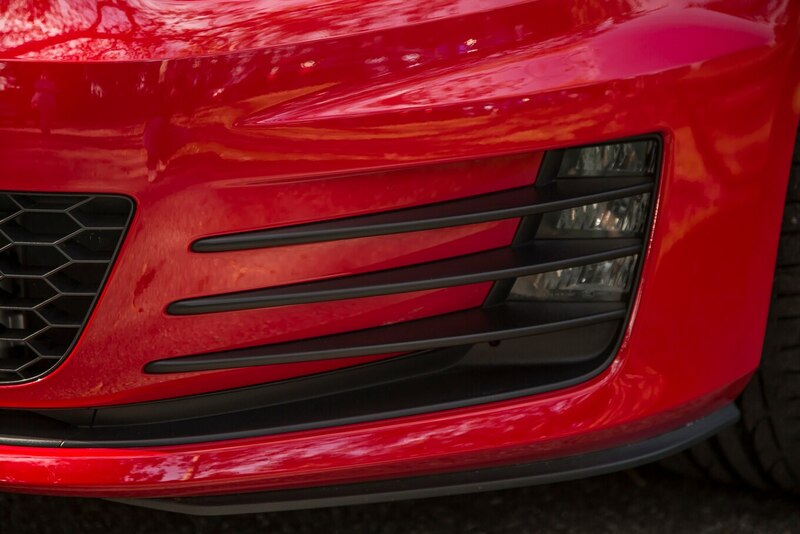 And that’s why it’s the 2015 Motor Trend Car of the Year. 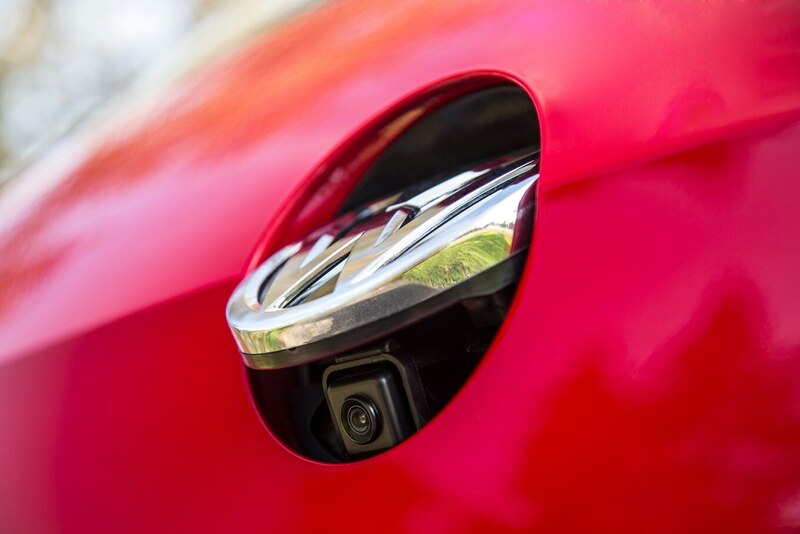 Clever touches abound on the Golf, such as the VW badge that’s also the hatch release and hides the rearview camera.